This week’s candidate for Bargain Wine of the Week comes from Trader Joe’s. 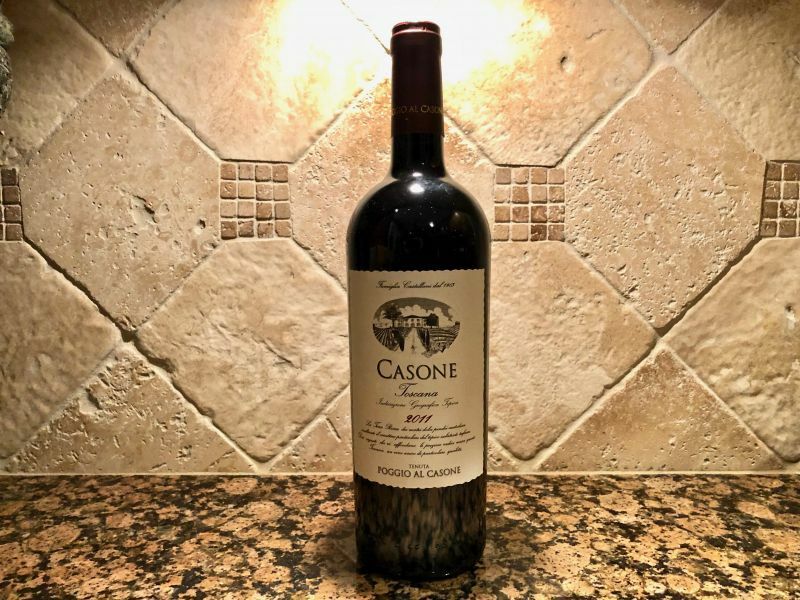 It is the 2011 Casone Toscana. The wine is a blend of 80% Sangiovese and 20% Syrah. The nose was short on fruit, with the main aromas being hay and copper. As is often the case with Tuscan wines in which Sangiovese dominates, there was assertive acidity. There were flavours of sour cherry. My first impression was of a wine that was not well balanced. The finish exposed a slightly unpleasant taste of copper. Leaving the wine for thirty minutes allowed the wine to soften. A touch of redcurrant emerged which helped offset the acidity. We paired the wine with lasagne. The acidity in the tomato paired well with the Casone. The wine went from just about drinkable to fine.